There are hundreds of free and Premium education WordPress theme in the market. Since the numbers of school, college, university, and institutes are increasing day by day. You want to flourish your institution and rule over the whole education business. And, obviously, you need the best education WordPress theme to meet your goal. Seems easy, isn’t it? But actually, it’s not. Researching, surveying, downloading and trying are time-consuming as well as complicated. Mainly, users search for the more functional, advance and reasonable WordPress theme. On the top of that, WordPress users are still discussing whether to select the free and premium version of the theme. Similarly, it’s hard to decide either stick with a free theme or spend some dollars and upgrade it to premium. So we are now going to compare both of our Education Park and Education Park Pro theme. When it comes to free education WordPress theme, it is hard to find the theme which has enough and compelling modules. I know, in a free theme how can we expect it has a pro like elements. Actually, you are wrong. Even though Education Park has very few features, its features are not less than Education Park Pro. This theme is suitable for schools, colleges, universities or any kind of learning institutions. Its pristine and captivating interface will surely attract many visitors to your site. Built with Bootstrap Framework, it has a responsive layout and fits perfectly on any screen size and resolution. It is Cross Browser Compatible theme that works amazingly on any leading browsers. All of its features and tools are very robust enough to craft comprehensive Education website. It lets you add and manage courses. Further, you can also list notes and discussion in its blog section. Try Education Park now. 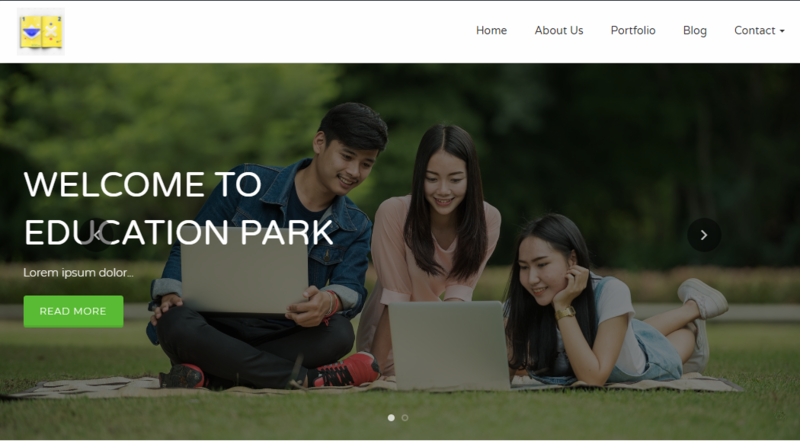 If you want to add more features to your educational website then, Education Park Pro is probably the best choice for you. It comes with the most powerful and streamlined elements which work magnificently on any educational institutions and caters the top-notch experience to its user and webmasters. Apart from that, you need any tricky and temper coding to manage and set up this theme. Thanks to its customizer API options. Little knowledge is enough to organize the theme. Even better, the robust Course CPT Plugin enables you to manage and sell online courses and even formulates course instructor and teacher’s inquiry. Likewise, you can add course duration, class size, course syllabus and teaching hour. Its drag and drop feature permits you to manage home section within a short span of time. While wrapping up, select the one which is more appropriate for your educational project. Education Park is good enough if you want a minimal but attractive website. If not then, Education Park Pro is there for you. Try it now. Here is the list of Best WordPress Themes and Plugins for 2018. Manage some time and go through it. I am looking for a beautiful theme for my website. Basically, the site will be providing music lessons online. The lessons can will be paid as well as some of them will be free on offers. Need payment integration for collecting payments. Suggestion for this requirement please?